What a way to start the summer vacation season! This is the official kick off. Doesn’t it feel great to know the winter is gone and summer is coming? If you have the extended weekend off come to the central Adirondack region. So much to see, so much to do. All the businesses will be geared up and ready to go. 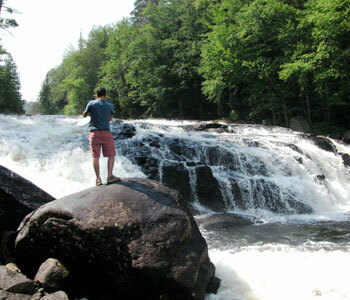 Come to nature incarnate, the Adirondacks is a national park that is protected and deemed “forever wild”. Go boating, fishing, water skiing, golfing, tubing, jet skiing, hiking, mt. biking, kayaking, canoeing, horseback riding, white water rafting or go to a beach (bet you didn’t know almost ever lake has sandy beaches) for some swimming and golden sunbathing. You can relax in the palpable silence of these mountains, gain access to dozens of scenic lakes or find adventure everywhere to fulfill your weekend getaway. Bring your sweetheart or the whole family. But there is also so much history here. Discover how William Durant created the “Great Camps” for the richest families of the industrial revolution and started a new architectural style that permeates the whole region. Durants’ architectural creations over the centuries have become mainstream and contributed to the “naturalist” movement. 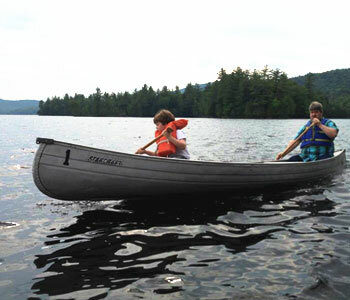 Take the Heritage Tour to Sagamore one of W Durants’ first camp creations, onto the wondrous Adirondack Museum and finally a lunch cruise tour on Racquette Lake for a fabulous day outing. Did you know that Prospect Point in Blue Mt Lake had the first hotel in the world with electricity? That there is the Cultural Center in Blue Mt Lake and there is Wild Center in Tupper Lake? Come, discover the richness of this region. Blue Mt Lake is where the Adirondacks Museum is and is the central hub of all this activity. For lodging on lakefront properties there is The Hedges, Prospect Pt Cottages, Hemlock Hall, Curry’s Cabins and La Pairie’s. A B & B at the Blue Mt Lake Inn and Blue Mt Rest if you are looking for affordable comfortable accommodations that include fully equipped kitchens. For more information go to www.indian-lake.com. Easter in Blue Mountain Lake, in NY? Fun for the family, away from home. Easter is family time. That juicy ham, Easter pie and other traditional goodies bring everyone to the table. Great home made food, drink and conversation always tie the family together. But this Easter why don’t you add some real fun to the festivities after all the libations and fabulous fare are gone? 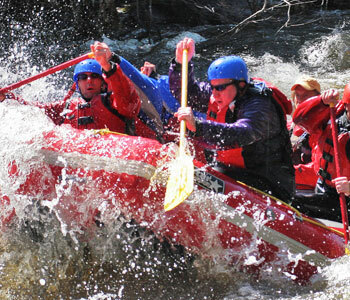 How about white water rafting, some hiking, mountain biking, fishing or horseback riding? Forget about those video games- put away the Xbox, the Wee and get out into nature, real adventure, the ultimate reality. 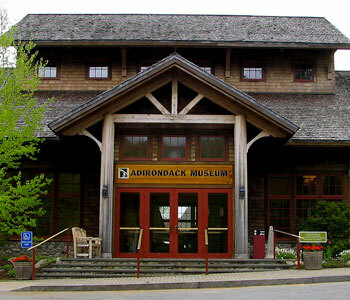 And the Adirondack State Park in NY is the ultimate venue to create memories that could make this Easter unforgettable. 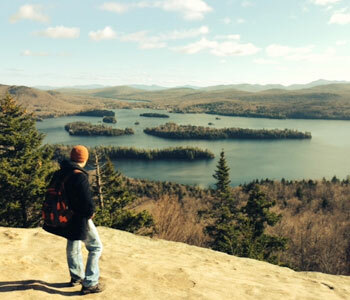 6 million acres makes the Adirondacks one of the largest parks in the nation. Picture perfect mountains and lakes, a “forever wild” landscape is THE back drop to your outdoor adventure. Who knows may be you’ll see a moose, black bear, loon, osprey, white tail deer or dozens of other wildlife while you are out there. A theater in the wild, what a view! Blue Mt Lake in the central Adirondacks, is smack dab in the middle of the park. Lakes are everywhere, just to name a few: Blue, Eagle, Raquette, Long, the Fulton Chain of lakes 1st thru 8th, Durant, Indian, Adirondack, Lewy, Abanakee, and Tupper Lakes are where you can get out on the water, for some fishing or even early canoeing or kayaking. And some of the highest peaks: Snowy mt, Blue mt, Oak mt are between 3,200 and 3,900 ft vertical make horseback riding, hiking and mt biking scenically ideal. And if you want a little more speed and excitement there is white water rafting in Indian Lake. Huge snow this winter means huge melt off and even bigger rapids this spring. 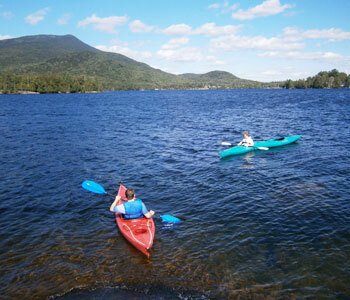 Eat, enjoy each others company and have FUN in the Adirondacks this Easter in Blue Mt Lake. And for that holiday dinner check into Blue Mt Rest. 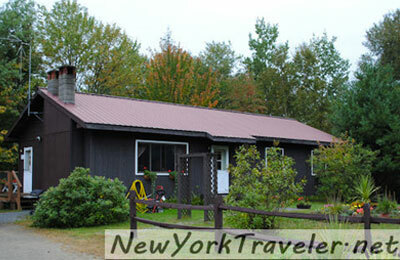 Recognized by Time Out NY magazine in ’08 for having some of the best priced and coziest cabins in the area. This property in particular is just 1/2 mile from Blue Mt Lake and capacity for up to 34 guests. All of Blue Mt Rest’s cabins have fully equipped kitchens so you can share the holiday meal together. As well as fireplaces indoors for atmosphere and outdoor fire pits for some story sharing of the days events. For more info go to www.bluemountainrest.com. Presidents Week and Winter Fest in Indian and Blue Mt Lake Feb 17th thru Feb 28th. Enjoy your winter break from Feb 17th thru the 28th and all the winter activities at the Winter Fest in Indian Lake and Blue Mt Lake. Come for all the fun on Presidents weekend Feb 18th, 19th & 20th: Skiing and snowboard contests, snowshoe outings, bonfires to fireworks, packed with fun for all ages. Come Celebrate winter with us and meet Ollie the Otter! Snowmobile enthusiasts sign up for the POKER RUN on Feb 19th registration from 9 AM to 1 PM, were area businesses donate great prizes. Sponsored by the local snowmobile club the Indian Lake Snow warriors. Ride from business to business collect as many poker cards as you can, get the best poker hand and be awarded Cash Prizes and Door Prizes donated by the local merchants. Then enjoy all the activities, food and drink at the Indian Lake Tavern and Restaurant where the drawings will be held between 3 & 5 PM. And don’t forget to stop by Blue Mt Rest along the way, one of the stops on the POKER RUN, on the Blue Mt Lake trail. The proprietors will be providing some hot soup and chili to warm you up before you get to the next stop. Blue Mt Rest still has limited availability if you are looking for cozy Adirondack style lodging that week. Go to www.bluemountainrest.com for all their week long specials, Feb 17th- 28th. Can you imagine? Snow covered pine forests with trails interlacing them everywhere in the Adirondack Mountains. Picturesque as a Norman Rockwell painting, perfect for you to put on your snowshoes or cross country skies, trek down the hundreds of miles of trails where you may see a white tail deer or even a bull moose. Or bring up your snowmobile and revve them up right outside your cabin door and get on to the New York state trails. 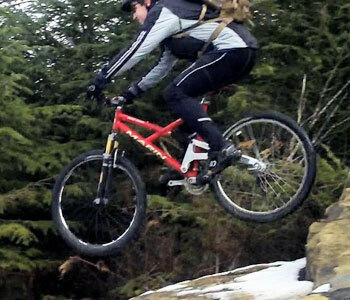 Skip over Rt 28 in Blue Mt Lake and hit the brand new trail that goes through Long Lake and Newcomb. Maybe you want to ice fish to get away from it all. You don’t have to go far, more than 10 gorgeous snow covered lakes within 20 minutes from your room; Blue Mountain Lake, Indian, Raquette, Eagle, Abinakee, Lake Durant as well as Adirondack and Rock Lakes are just a few to put in your auger and angle for some fresh holiday fare. Caught with your own rod! You just might get a small or large mouth bass, land lock salmon or a lake trout to compliment your savory roasted potatoes with onions, brussel sprouts or garlic flavored broccoli. If fishing ain’t your thing, how about down hill skiing, snowboarding or snow tubing. Three ski mountains, Gore, Big Tupper and Mac Cauley are nearby. Families can enjoy economy of the smaller family run mountains where lift tickets start as low as $15 per day and rentals at $20. Or for the more skilled and daring Gore Mt offers everything any of the big ski mountains offer. Ask about a Stay and Ski Package where local hoteliers offer discounted lodging rates and where get you the best prices on lift tickets… better than the ticket window! Blue Mountain Rest in Blue Mt Lake offers you this incredible access to winter holiday fun. All of their cabins have fully equipped kitchens to cook that perfect holiday meal and big enough room for a family or ski group of 24 guests. But you don’t have to bring the whole family or club, maybe you just want to have a romantic week or weekend for 2 next to the warm glow of your own private fireplace which some of the cabins have. All rooms sleep 4 or more and have that cozy, homey Adirondack feel all decorated in holiday attire. Ask about their winter packages and special deals. The Adirondacks a winter holiday mecca or any time of year. Feeling blue for the Christmas holiday? That’s not such a bad thing, at least if you’re feeling Blue Mountain for the Christmas holiday season. Blue Mountain Lake is one of the most breathtaking and glorious vacation destinations in New York, tucked in the heart of the Adirondack State Park and Blue Mountain Rest offers the perfect accommodations for you and the entire family. Christmas for many families is a time to unwind, to invite family over, and to huddle around the fireplace, sharing gifts, stories of the year, and looking forward to the upcoming New Year that is waiting just around the corner. It’s a time when, for a few days at least, we can forget about the troubles that swirl around us on a regular basis, tempting and teasing us with stress, strife, and struggle. If we stop and think about this for a moment, one thing that doesn’t tend to change during this respite is the scenery. Imagine getting away to a place that offers a great deal of fun, from x-country skiing, snow shoeing nearby, to hiking through the woods, snowmobiling down snow covered hills & lakes, downhill skiing at Gore to shopping at any number of fine antique shops that offer the rustic reminders of years long since passed. Blue Mountain Rest offers this promise and a whole lot more for every family, of almost any size. Starting with rates as low as $80 a night, Blue Mountain Rest can accommodate up to thirty friends and family members within its seven luxurious bedrooms. This magnificent rental property comes complete with Internet access so that you can stay connected with distant family and friends during your stay here, Direct TV & DVD player so that the kids can watch their favorite holiday movies, fresh linens & towels, cozy fireplaces and one even has a Jacuzzi so that you can all kick back and unwind in away that feel you deserve to. At Blue Mountain Rest, we also understand that pets are part of the family, too, and the last thing most families want to do is leave their beloved pet in a shelter for this wonderful holiday season. Blue Mountain Rest is pet friendly, so bring the entire family along with you. What about the weather? After all, Christmas in New York can pose a tricky situation, especially if we get bombarded by snow. Well, isn’t that what Bing Crosby used to sing about all those years ago? ‘Dreaming of a white Christmas.’ If you have spent most of your Christmases in the past staring at concrete or green, yet faded, grass because the snows just don’t reach you at that time of year, then Blue Mountain is the perfect answer for your White Christmas wish. The Adirondacks average nearly ninety inches of snowfall per year, so even if the snows haven’t started falling by then, and we’re pretty sure it will- you may wake up one morning during your stay to find that white, fluffy powder blanketing the landscape in its hearth. Blue Mountain Rest offers you the perfect Christmas holiday away from home and with rates as low as these, you won’t have to mortgage away the next year to enjoy it. Spend Christmas with the family in one of the most awe-inspiring locations in New York. Spend Christmas at Blue Mountain Rest in the Adirondacks. The Thanksgiving holiday is right around the corner and for some, that means spending time with the family, cooking turkey, stuffing, and all the fixings. This holiday can be a great deal of work and add tremendous stress to life. However, it doesn’t need to be this way when you know about Blue Mountain Rest. This fantastic getaway that is tucked in the beautiful scenery of the Adirondacks of New York, Blue Mountain Lake boasts tranquility, peace, and comfort. Thanksgiving is a time to reflect on the things that we cherish most in life, to be thankful for all that we have, from good friends and family to a home and a chance to get away once in a while. The holiday simply doesn’t need to be about running to crowded stores, fighting throngs of people for the last cranberry jar from the shelf, and then sitting in traffic congestion just to get home. Blue Mountain Rest is the perfect Thanksgiving getaway for couples, small families, and even the entire extended family. This cottage retreat offers quaint reminders of the things that many of us tend to forget about when working or living in the busy cities take its toll on us. With so much to do and see in the Blue Mountain Lake region, from hiking through the mountains, special attractions, both historic and artistic, antiques, and breathtaking scenery, it would be easy to understand how some would consider this kind of perfect Thanksgiving getaway out of their reach financially. Yet Blue Mountain Rest offers some of the best rates around. Even if cooking Thanksgiving dinner means so much to you and your family, you don’t have to make that sacrifice when you stay at Blue Mountain Rest. All of the accommodations come fully equipped with kitchens. That means you can either bring all of the fixings up with you, or buy them in town from one of the local merchants, sit back and relax on Thanksgiving Eve, and listen to the glorious sounds of nature as they filter to you from all around. Once the holiday is over, the turkey picked clean, and all of the dishes washed and put away, you can rest well knowing that for the remainder of this long weekend, there will be a world of wonder waiting for you to discover the best that upstate New York has to offer. Blue Mountain Rest is the perfect Thanksgiving getaway tucked in the heart of the Adirondack State Park. Thanksgiving should be a joyous time spent with family and that means it should be joyous for all. Whether you choose to make your own Thanksgiving meal or decide that this year you want to eat out in a nice restaurant, you’ll find the perfect one close by in the Blue Mountain Lake region. With Thanksgiving right around the corner, Blue Mountain Rest is calling. Enjoy a long holiday weekend away from home and then return rested and ready for the rest of the year. Take Dad away for the Father’s Day Weekend. Why not treat Dad’s prefer a “rustic” outdoor adventure so consider a long Father’s Day Weekend at Blue Mountain Rest cabins. Our Father’s Day Weekend special offers all of the pleasures and comforts necessary to keep Dad happy on his special June weekend. Father’s Day getaways included fishing, golfing, kayaking, rafting, hiking, biking, cycling, boating, canoeing, dining, swimming, and dining to rest and recharge your body and mind. We still have availability for Fathers’ Day Weekend! Make Father’s Day a special occasion this year. Our Father’s Day Weekend Special is great time to explore the wilderness from the comfort of our Blue Mtn. Lake cabins – all with wonderful mountain views. Tucked away in the woods Blue Mountain Rest is a simple place to relax and regain your peace of mind. Lots to do or just relax with a book or movie. Great opportunity if you have never visited Blue Mountain Lake.